Demon Volume 1 Review – AiPT! This fall, First Second Books is publishing a lineup of eight novels, one of them being Jason Shiga’s Demon. So is it good? 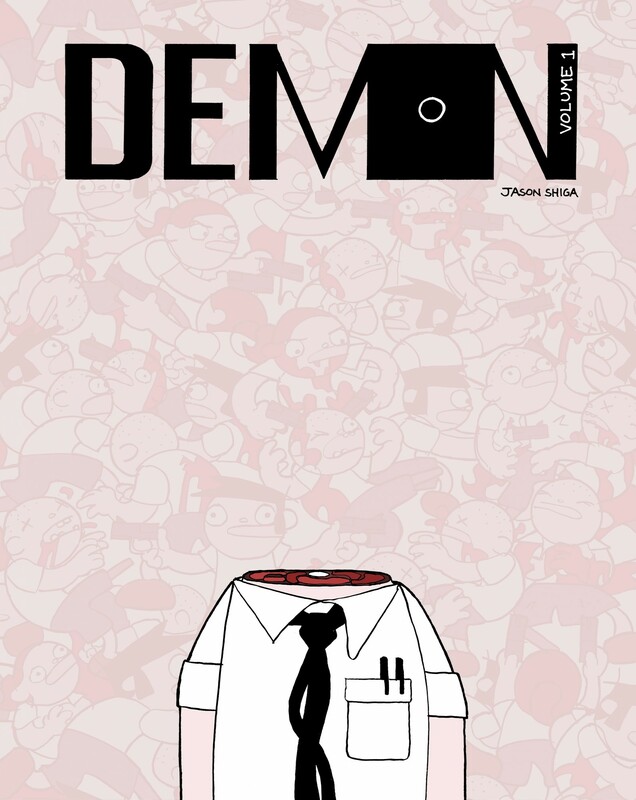 Demon started out as a webcomic on Shiga’s own personal site and now, over 600 pages into development, it’s being collected in physical volumes. Shiga is known for his other webcomics such as “Bookhunter” and “Fleep”, but this is by far the darkest and most violent thing he’s created. While this volume collects the first story arc, it’s already been announced that 2017 will bring us three more volumes of Demon. The comic documents a character named Jimmy who decides to end his sad life. There’s only one problem: he can’t. Inspired by Shiga’s own birthplace, the novel takes place in Oakland and the NorCal Bay Area. The novel follows the mildly frustrated suicider through his unsuccessful attempts which results in a dark and surprisingly amusing tale. To complicate things, Jimmy is being pursued by a government agent who seems to be aware of his inability to die. So now, with the government on his tail, Jimmy must put his death on hold and accept his new life on the run. For revolving around the concept of suicide (many, MANY suicides), the comic is extremely funny and as lighthearted as it could be. I read an interview with Shiga that speculated his math degree as being the source of his logical answers within his novels. Regardless of the reason, it’s both apparent and much appreciated within this particular comic. One of the common problems with fantastical premises such as these is that readers are dragged along for multiple issues before receiving a decent explanation (which of course, usually bring a multitude of other questions). Luckily, Shiga doesn’t put his readers through that torment and even with a concept which has the potential to be very convoluted, we’re provided instant clean-cut answers which is extremely refreshing. The art, also done by Shiga, is simple, but contributes to the hilarious nature of the comic. The panels are calculated and do so much without a lot of detail. The panels transition from a nine panel grid to various other arrangements, including a very cool full page spread documenting the entire previous chapters’ sequences. The characters are extremely expressive and despite the incredible about of blood, gore and death it made me laugh out loud. I can honestly say this is the most fun you can have with death and suicide. (I recognize just how terrible that sounds). I’ve never read 166 pages quicker than I have Shiga’s Demon. It’s quirky and witty and incredibly grotesque in the most entertaining way. Not only will you love this novel, but you’ll feel obligated to pursue Shiga’s other work. Look for Demon on October 4th.